Does Lowering your Cholesterol Lower your Risk for CHD? Medical articles often open with phrases such as ‘according to research’ or ‘recent studies have shown’. Yet did you know that not all research is created equally? A movement has formed in medicine that evaluates the quality of data from studies and compiles finding from multiple high quality studies into treatment guidelines. 1. Duration of weight loss therapy should be at a minimum of six months. The more frequent contact between patients and their health care team during that time the more success they have. 2. Expectations: Long term weight loss can realistically occur at a rate of 1-2 pounds per week. 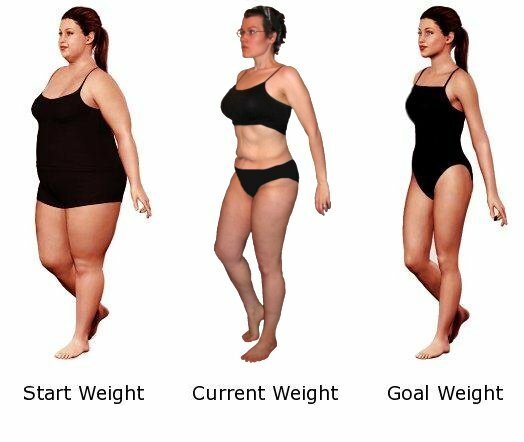 Long term the loss of 10% of body mass is a realistic goal. 3. Calorie requirements: Metabolic rate should be measured by means such as indirect calorimetry or estimated by the Mifflin equation. We do indirect calorimetry reports for $60 at our clinic, the equation is less personalized but can be found here: http://www.diet-blog.com/05/how_to_calculate_your_daily_calorie_needs.php. 4. Calorie restriction: weight loss of 1 pound of body fat per week occurs when you burn 3500 more calories per week than you eat. This is 500 calories daily. Calorie logging is an effective tool to reach this target. www.myfooddiary.com is my (Dr. C) personal calorie log I use daily. 1. Exercise – Shocking, I know, but without caloric control, you’ll eat even more after working out. 2. Healthy food vs. Junk food. So many of us think that if we eat healthy we’ll lose weight. Please do eat healthy, you’ll feel better and live longer. However without portion control, healthy food won’t cause weight loss. 3. Fasting or cleansing. Anytime you go to under 1200 calories, your body goes into starvation mode. The scale may look good for a few days but it will head back with a vengeance in a few months.